The CEO of IIPM, Mr. O. Arivazhagan, has won a lottery conducted in the PMI® Global Congress Asia-Pacific 2005 held at Singapore. He was awarded with books worth US $1,000. The list of books and photographs are displayed below. 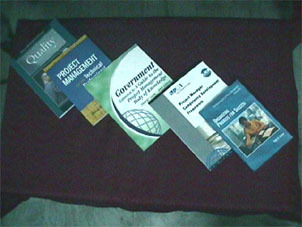 The books are kept at the library of IIPM, and are available for reference for the PM Community in India, IIPM's patrons, IIPM's course participants and PMI® Chapter members. 2. 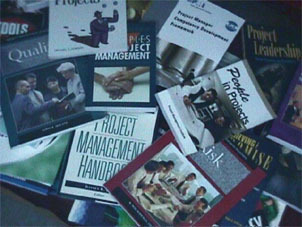 Q & A's for the PMBOK® Guide Third Edition Frank T. Anbari, Ph. D., PMP. 4. Organizational Project Management Maturity Model (OPM3) Overview Project Management Institute Inc., Newton Square, Pennsylvania, USA. 19. 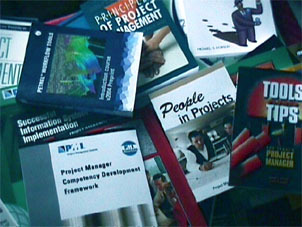 Quantifying the Value of Project Management William Ibbs, Ph. D.
20. 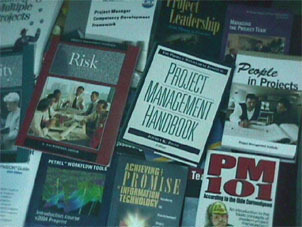 Selling Project Management to Senior Executives - Framing the Moves that Matter Janice Thomas Ph. D.